Fitness subscription platform ClassPass has made a rare acquisition to deepen its foothold in international markets. Earlier this week, ClassPass announced it signed an agreement to acquire Singapore-based competitor GuavaPass for $4.2 million, ClassPass CEO Fritz Lanman said in an interview with Yahoo Finance. The deal is expected to close later this month. The acquisition of GuavaPass, which has secured studio partnerships across major cities in Asia and the Middle East, adds fuel to ClassPass’s already rapidly expanding presence in international locations. ClassPass’s services are available in about 20 cities outside of the United States, on top of its 60 domestic locations. While not the first acquisition for ClassPass – which acquired competitor FitMob about four years ago – the GuavaPass deal is nonetheless a rare strategic move for the fitness company. Lanman said acquisition is not a main part of ClassPass’s expansion strategy going forward, and that GuavaPass approached ClassPass initially for the deal. GuavaPass, which launched in early 2015, will close in markets where ClassPass currently has operations, including Singapore, Bangkok, Hong Kong, Kuala Lumpur and Dubai. It will continue to operate as part of ClassPass in Abu Dhabi, Beijing, Shanghai, Jakarta, Manila and Mumbai until ClassPass launches in those markets in early 2019. “We have upwards of 70, 75 folks in America focused on American expansion and believe we only cover currently about 15% of the serviceable zip codes in this country – the zip codes that have enough fitness studios and gyms for us to exist,” Lanman said. But the international opportunity for ClassPass has been undeniable, Lanman acknowledged. ClassPass has been pushing deeper into international markets for at least the past year, helped in part by its recent financing. The company announced over the summer that it raised $85 million in new funding in a series D round led by Temasek Holdings, a firm owned by Singapore’s government. The round brought total funding for ClassPass to $255 million, at a valuation undisclosed. Over about the past 18 months, ClassPass has shifted its business model to have users purchase credits rather than a certain number of fitness classes per month. The credit-based system officially launched in March 2018. The shift gave customers “a lot more flexibility” in selecting studios and classes, Lanman said, and gave studios the ability to generate more revenue by increasing the number of credits required for premium classes. Lanman said the business model shift was pivotal to bringing on another of the company’s series D funding round participants L Catterton, a prominent investor in the fitness space whose portfolio of brands includes Equinox, Peloton and Core Power Yoga. The multinational fitness and health-club industry is estimated to generate more than $80 billion annually, according to data from Statista. 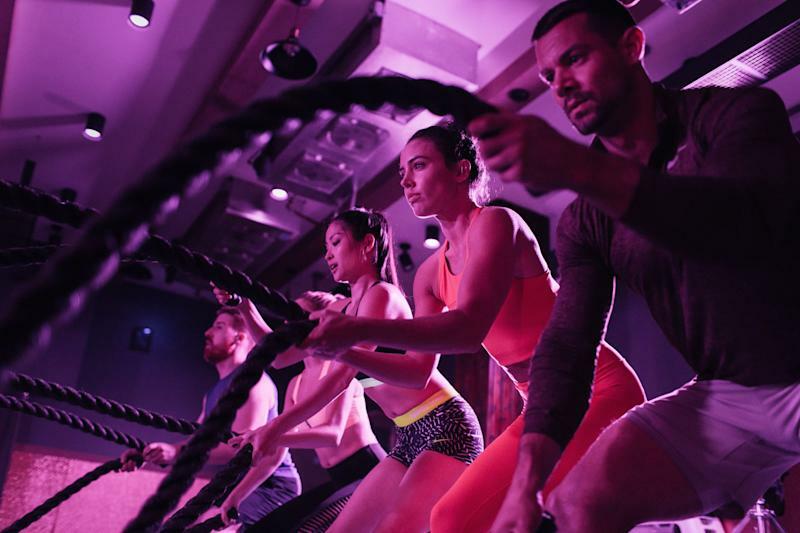 Between its updated business model and escalating international expansion, ClassPass is currently in “Uber-like hyper expansion mode,” Lanman said. And that growth could easily lead to a public listing.